Being a mother is hard work and requires a lot of attention and knowledge. Unfortunately, no matter how much some women prepare, there are those who are always going to need help. Here to provide that assistance are these 20 awesome mommy blogs dedicated to helping mothers cope with the everyday challenges of motherhood. Not only do these blogs talk about what women can likely expect with their children and partners, the sites also talk about other aspects like school, health, and even fitness. They are great sources of information to help every mother who is struggling with what should prove to be one of the greatest adventures of their lives. Ginger Arboleda has been a contributor to several publications and has an extensive experience in the blogging world. With mommyginger.com, she has cultivated a space where mothers can come to gain insight that will make being a mother less stressful and for that, we are nominating Ginger. If you are looking for some good advice with regards to being a mom, give themissusv.com a try. The site is full of the most wonderful tips and advice about how to raise wonderful children and how to live a balanced lifestyle. After all, mothers are more than caretakers and themissusv.com can teach you how. There are plenty of mommy blogs out there that can give you all kinds of information, but lightong.com is one of the standout affairs in the business. The advice and contents you’ll find at the site are unlike anything that are offered anywhere else. If you like interesting and eccentric content, lightong.com is where you’ll find them. There are plenty of ways that you can be a good mom and thespoiledmummy.com can show you the sides of motherhood that you may have never thought about or seen before. It simply has some of the more unique articles, images, and references. Reading through them is always enjoyable. Chris started writing her blog in 2008 because she wanted to share her experiences about being a young mother. Her blog is educational for she shares parenting tips and homeschool helps to the readers. 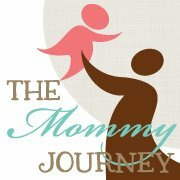 The Mommy Journey is a friendly blog that is about the exciting and challenging life of a mom. If you need a little break from the conventions of society when it comes to raising children, mommyunwired.com is the blog for you. Offering some truly spectacular contents about being a mother, it’s a blog that stands out from the rest in sheer personality. It’s only natural that there would be significant differences in how people raise children and as joyfulmess.com can show you, it’s okay to revel in the chaos. There’s no need to be in control all the time and as you’ll see with the blog’s contents, it can actually be better to let things be as they are. Although imomonline.net also talks a lot about motherhood and the issues that practically every mother faces, the site is mostly about sharing passions in cooking. With plenty of tasty recipes and great tips on cultivating passion, imomonline.net has done more than enough to earn our nomination. Awesome site. Jackie Go’s approach in running gojackiego.com is a bit different compared to what other mommy blogs are doing since she goes after both motherhood issues and fitness problems. By combining the two, Jackie makes the lives of so many mothers much easier, which is why we are nominating her. If you want to talk about a site that has some of the most straightforward and earnest content when it comes to caring for babies and being a mother, babyandbreakfast.ph would have to be one of the best. As a resource of information, it’s good enough to warrant a nominating from us. Michelle Lim talks about general lifestyle topics and discusses home issues on her website, mymomfriday.com. Blogging about pretty much everything that mothers of today will have to deal with, Michelle certainly provides women everywhere plenty of helpful details in their everyday lives, which is why we are nominating her. thegomom.com hosts content that talks about everything from how to be a mother without bearing such a huge burden to reviewing certain electronic devices that play a huge role in making the lives of mothers much easier. Thanks to its awesome content, thegomom.com is easy enough to nominate. With some of the most useful information when it comes to being a mother, how to care for infants, nutrition, and so many other helpful topics, mommanmanila.com is definitely a great resource of mothers of all kinds. It’s also a great site to nominate as it has earned it. Anyone who need information that can definitely help them not only survive being a mother but enjoy it to the utmost, mamaneesnest.com is the site for them. With some of the most useful content in the business that are necessary for so many, we have no trouble nominating mamaneesnest.com. Khaye-Mydette Cardenas Macalinao runs the shiningmom.com and managed to make it into one of the most reliable sources of awesome information and tips that shines a light on the struggles of motherhood. With relatable details and with a friendly tone, Khaye-Mydette has created a site worth nominating. Kim runs momonduty.com like a therapeutic resource, with so many of the content specifically catered to mothers and wives who might be in need of a good advice. With plenty of great tips to share, experience to draw inspiration from, and awesome content to related to, Kim deserves our nomination. Topics on how mothers can make the most of their experience and be the best moms they can be is what momsiefied.blogspot.com is all about.  Full of inspirational and amazing articles about motherhood, momsiefied.blogspot.com is definitely a blog you can’t afford to pass up on. Talking about everything from lifestyle choices, health and gadgets, Kath Rivera of kathrivera.com definitely covers a huge range of topics that all fall under the category of motherhood. With content information that are both essential and interesting, it’s easy to give Kath our nomination as she certainly deserves it. mommypeach.com is the brainchild of Peachy who is a brilliant mother, cook and blogger. With intensely impressive content talking about food and motherhood, Peachy combines two of the most delightful experiences in the world and in a way that is both relatable and enjoyable. For this, Peachy gets our nomination. Jenny is the brains behind chroniclesofanursingmom.com, where she shares her experiences and knowledge pertaining to motherhood and health. With much of the site’s focus being highlighting the importance of breastfeeding, especially to young mothers, it’s not that difficult to understand why we are giving Jenny and chroniclesofanursingmom.com our nominating.